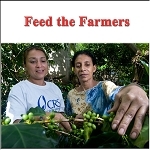 Komodo - Dark Roasted Swiss Water Decaffeinated Fair Trade Organic Coffee Blend with Sumatra. Home > Coffee > Komodo Swiss Water Organic Decaf. Komodo Swiss Water Organic Decaf. Roaster's Notes: Full bodied organic decaf. coffee with smoke and spice. This exquisite blend is comprised of the finest Arabica Fair Trade, organic coffees from East Timor, Ethiopia, and Sumatra. All the beans for this blend were decaffeinated by the Swiss Water® Process to ensure full organic compliance. We roast this blend dark, yielding an extremely complex, earthy, full bodied coffee. This is one serious decaf gourmet coffee. You'll swear its not decaf. (until you fall asleep)! A beautiful coffee! Rich, dark and full. No bitterness at all. My order arrived as quickly as local orders, but (unlike local roasters) fresh and glistening and aromatic. WONDERFUL! Some of the best beans I've ever had. Thank you for a wonderful product! And to have CHOICES for an organic, SWP decaf! WOW! Fantastic! 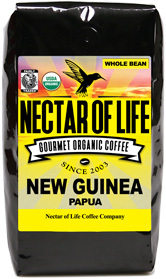 I've been ordering coffee from Martin @ Nectar of Life for at least 5 years now. Komodo Dragon is a full bodied, low acidity, smooth coffee. The beans are always fresh, roasted to perfection, and arrive in a timely manner. (Most recently, I ordered Sumatra, and it was VERY good). You can't beat this small roastery for quality, and customer service!! Until I had this coffee, I was a die-hard Sumatra devotee. It's all I wanted. Now, this could very well be all I want. I've never felt compelled to write a coffee review before now, but this stuff drove me to sing it's praises. I will have to try the nectar of life Sumatra, but when I order that, I'll be ordering more of this too! I switched to Decaf years ago and 5 years ago, fell in love with Nectar of Life :) I really appreciate how many Swiss-water decafs are offered -- they are all wonderful. If you love a truly bold and complex cup of coffee (without the jitters), this one is for you! Nectar of Life coffee is a true gem of a find for me. Organic water decaf. is not easy to find in retail stores. It is so convenient to order and have it delivered to your door. The flavor is wonderful and the customer service is great. 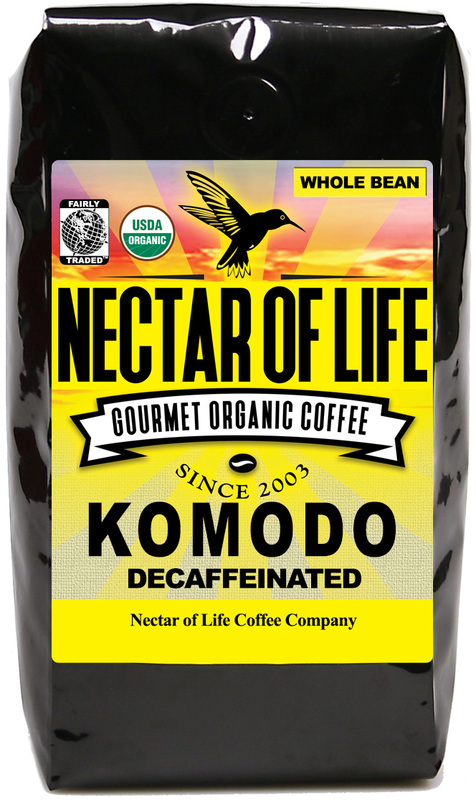 We like this blend of Komodo best of any we''ve tried from the net. Thank you for including the free travel mug and nice letter in my last shipment. I love your product - every flavor has been fabulous! Kudos on all of the decaf choices - your have more decafs than I have ever seen. The friendlier we can be on the environment, treating the farmers with the respect they deserve - has to produce a better product - and a better life. I do not by all organic products - cost is a major factor, but I do watch what is in the products I purchase. What we eat each day is important to us.I first purchased your coffee at Yokes after reading a blurb in Organic Style magazine giving your coffee a good rating. Not being a regular Yokes shopper because of distance, I use the website to purchase your product. What a plus it is having it freshly roasted to my door. I have tried many brands of coffee, all store brands, many small coffee houses back east, gevalia, starbucks, Seattle''s best, cravens.... and so on. The local coffee stands never see me now that I always have your coffee at home!Your coffee just taste the best! Peru Swiss Water Organic Decaf.